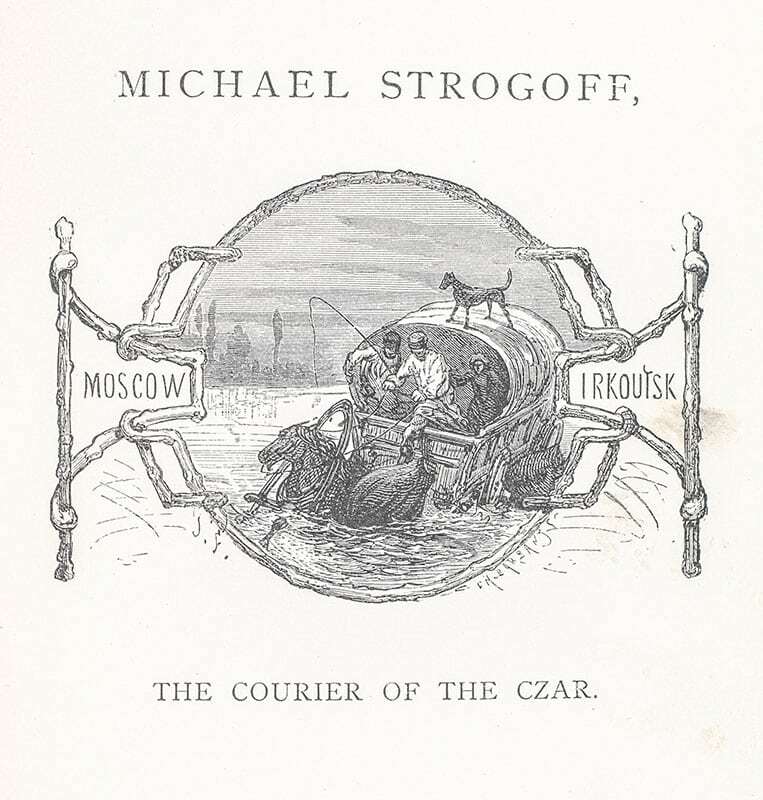 Michael Strogoff, the Courier of the Czar. New York: Scribner, Armstrong & Company, 1877. 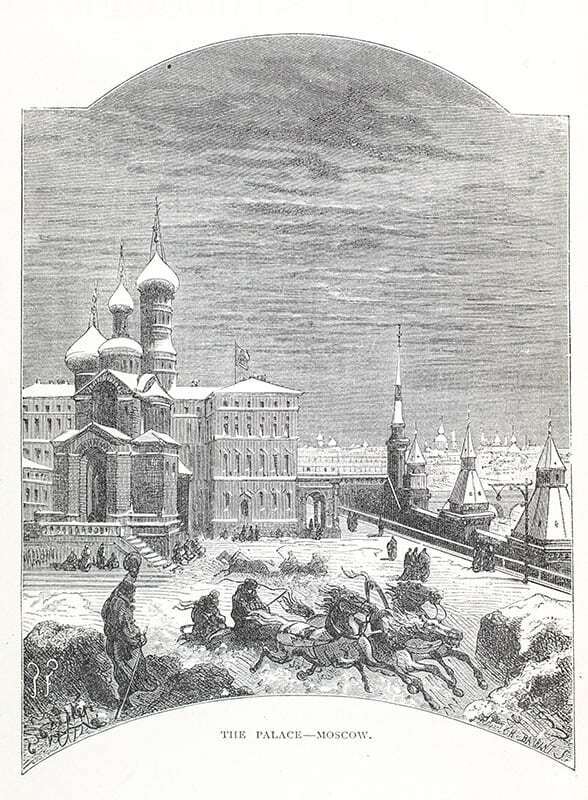 First American edition of this historical tale of adventure taking place during a Siberian revolt by the Tartars and what many consider one of Verne’s finest novels. Octavo, original cloth, with Ninety Full-Page Illustrations. Translated by W. H. G. Kingston. Revised by Julius Chambers. In near fine condition. A nice example. Critics, including Leonard S. Davidow, consider it one of Verne's best books. 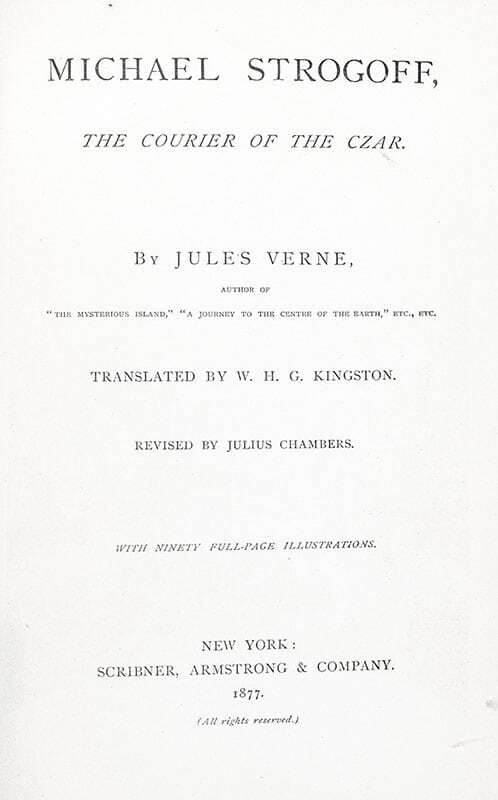 Davidow wrote, "Jules Verne has written no better book than this, in fact it is deservedly ranked as one of the most thrilling tales ever written." Unlike some of Verne's other novels, it is not science fiction, but a scientific phenomenon (Leidenfrost effect) is a plot device. The book was later adapted to a play, by Verne himself and Adolphe d'Ennery. Incidental music to the play was written by Alexandre Artus in 1880. The book has been adapted several times for films, television and cartoon series. The Castle of the Carpathians. London: Sampson Low, Marston & Company, 1893. 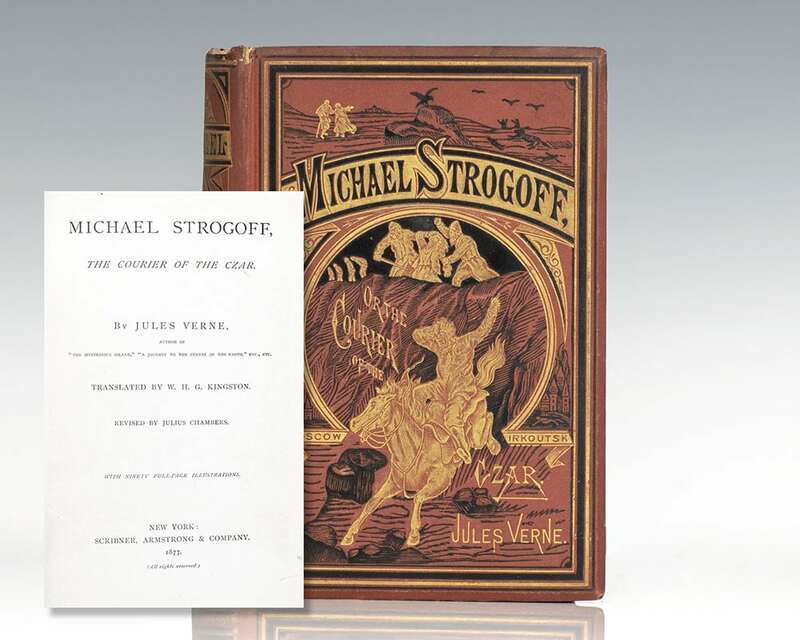 Rare first edition of Verne’s Gothic mystery novel that likely inspired Bram Stoker’s Dracula. 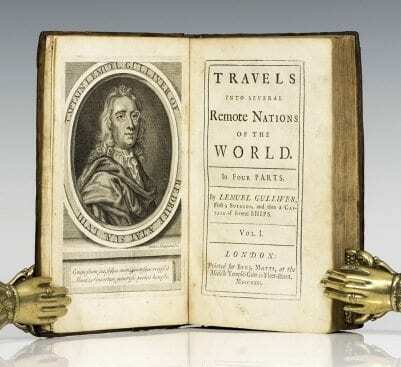 Octavo, original illustrated cloth, gilt titles to the spine and front panel, top edge gilt, pictorial endpapers, engraved frontispiece, illustrated with numerous engravings. In very good condition. Scarce and desirable.